92 out of 100. Incorporating 50+ ratings and reviews. The PRS SE Standard 24 comes with everything that made the more expensive versions popular, including a 24-fret mahogany set-neck, rosewood fretboard with bird inlays, and a PRS-Designed tremolo - albeit using more cost effective materials and manufactured in South Korea. For the price, the SE Standard 24 impressed many users with its true to form PRS playability and appeal, to the point that it gets perfect ratings even from industry experts. The guitar's tone gets a lot of commendation, mostly for its clarity and sustain. Even experienced players appreciate its coil tap quack sounds. There are a few that found the PRS "approved" tuners and tremolo system to be quite clanky out-of-the-box, but it is mentioned that they work fine when you don't go over the top with the tremolo. Some reviewers comment that minor setup adjustments resulted in better playability. 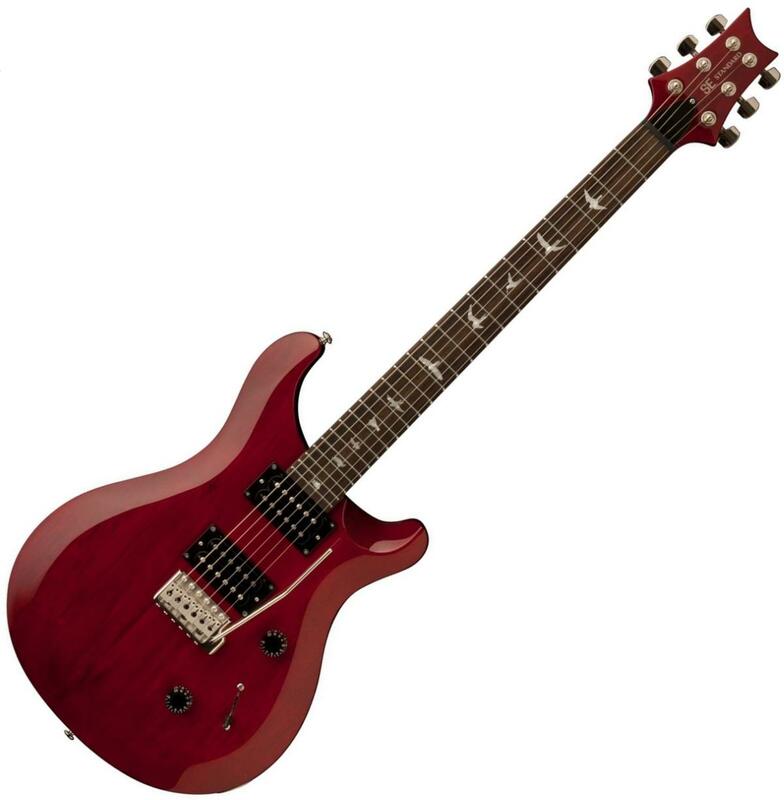 This is the highest rated PRS electric guitar you can buy in this price range, so if you are into their brand of tone and attention to details, then pick this one. The PRS SE Standard 24 was on our recommended list until we performed a detailed review of solidbody guitars between $200 and $500 in March 2019. At that time we found there were more highly rated options with humbucking pickups to recommend and you can find them in our guide to The Best Electric Guitars Under $500.